Is BBC Up to Redefining The Lost Historical Civilization? BBC has already attained success with its VR based applications and now it is all set to roll out exceptional apps based on Artificial Intelligence. In order to make its first foray into the AR domain, BBC is planning to give a glimpse of historical treasures with the application. The app features the elements of civilization collection along with combining the principle of British tradition. The AR companion app is the newest addition in the BBC’s companion app civilization series. The series will give a glimpse of the British culture along with the history behind it. The app will help users to explore significant artworks, the tradition old architect, and the artifacts as well to get a glimpse of the golden eras we started from. The app, basically, is a spiritual successor of similar apps from the series 1969. It is just redesigned to attain the interest of newer generation towards the application. The app will also allow users to explore virtual re-creations of the given artifacts by using their phones. The display will also include Rodin’s The Kiss from the National Museum of Wales, Egyptian mummy from the Torquay Museum, and the Umbrian Madonna and Child from the National Museum of Scotland. 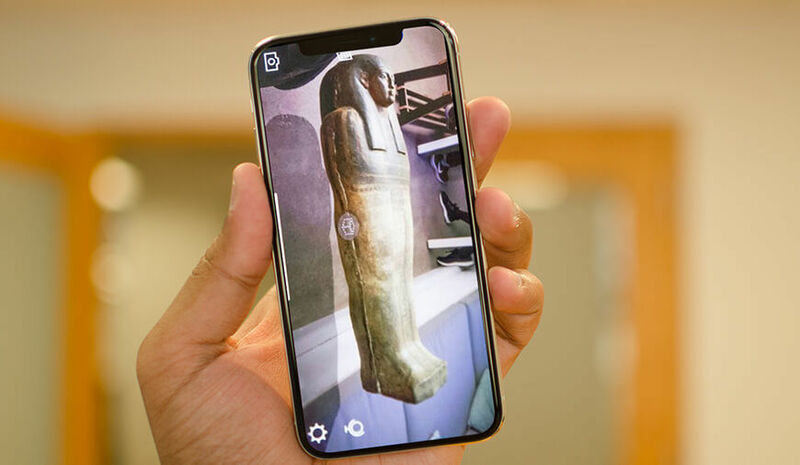 The app is just exceptional when it comes to knowing the history from a closer look, the historically-important sculptures are there for users to discover them as they appeared thousands of years ago. This application will be launched for both the platforms including iOS and Android as well. The first look of the application will be revealed in the upcoming weeks to give users a glimpse of what it will look like along with the functionality it will offer to the users. BBC’s exceptional move in this direction represents a great example of an AR application that could prove to be useful for imparting educational values. The architect of AR apps is no doubt a great one as it offers a number of exceptional features to the users. Such games take users to a virtual world which partially seems real and makes the app browsing or game playing experience an exceptional one. BBC’s plan to get into this world is no doubt an exceptional one but it will be a tough call for the broadcasting platform to make its own space in the already populated AR app market. However, we will have to wait for sometime to know if the app fails or succeeds in the long run.